Preorder now to recieve a print of Dozer, Greg's dog! "I was born and raised in Los Angeles, California, in neighborhoods with hippies, criminals, working people, and movie studios. Like many writers (and many people who aren’t writers, for that matter), I’ve done a number of things to put food on the table and keep a roof over my head. I’ve worked as an ice cream scooper (or dipper, as people who sell ice cream are sometimes called), a political fundraiser (or telemarketer), a comic book store clerk, a bookseller, a bookstore assistant manager, an educational multimedia developer, and a college teacher (of English and of multimedia development). Among other things. I’ve lived my entire life in the Western half of the United States. I prefer beaches to deserts. I currently live in San Diego. My parents were Dutch-Indonesian. If you know of a good Indonesian restaurant in San Diego, let me know, eh? My name last name is pronounced like this: Van, as in the kind of thing you drive, eek, as in, “Eek, killer robots are stomping the rutabagas!” and hout, like “out” with an h in front of it. The emphasis is on the Eek. Say it with me: van EEKhout." The deadline for event orders is August 31st at 12:00pm. 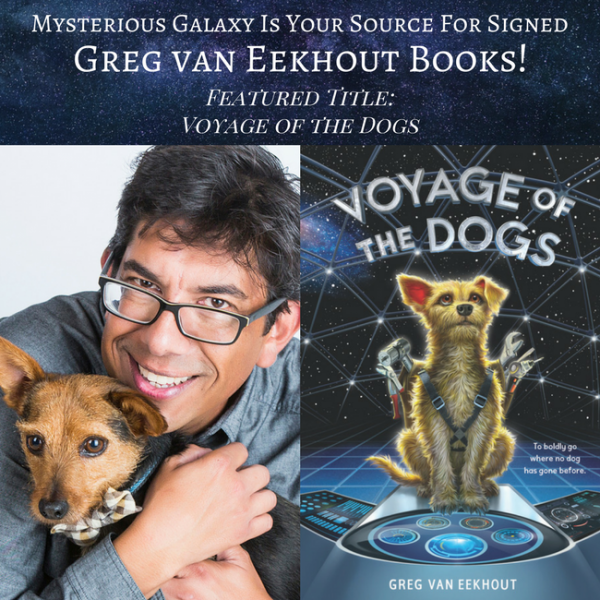 Looking for more signed books by Greg van Eekhout? Mysterious Galaxy has many of his other titles available! Contact a bookseller for questions. This edge-of-your-seat action-packed story is Homeward Bound--set in space! SOS. Laika damaged. Human crew missing. 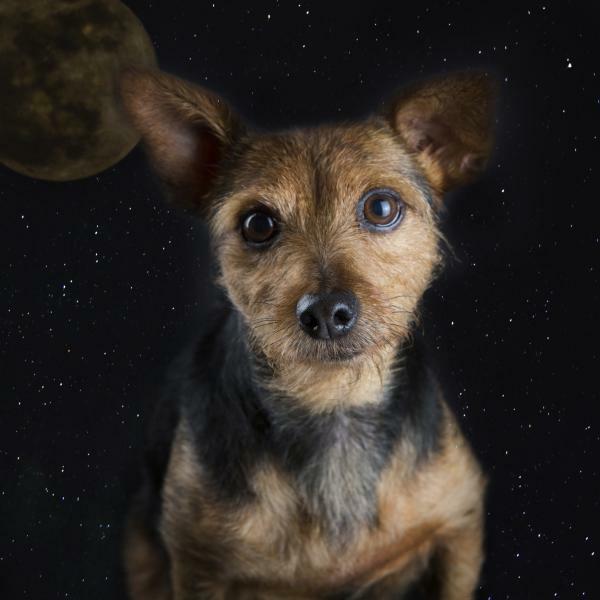 Lopside is a Barkonaut--a specially trained dog who assists human astronauts on missions in space. He and the crew aboard the spaceship Laika are en route to set up an outpost on a distant planet. When the mission takes a disastrous turn, the Barkonauts on board suddenly find themselves completely alone on their severely damaged ship. Thatcher Hill is bored stiff of his summer job dusting the fake mermaids and shrunken heads at his uncle's seaside Museum of Curiosities. But when a mysterious girl steals an artifact from the museum, Thatcher's summer becomes an adventure that takes him from the top of the ferris wheel to the depths of the sea. Following the thief, he learns that she is a princess of the lost Atlantis. Her people have been cursed by an evil witch to drift at sea all winter and wash up on shore each summer to an even more terrible fate-working the midway games and food stands on the boardwalk. Can Thatcher help save them before he, too, succumbs to the witch's curse? Dragon Coast: the sequel to Greg Van Eekhout's California Bones and Pacific Fire, in which Daniel Blackland must pull off the most improbable theft of all. Daniel's adopted son Sam, made from the magical essence of the tyrannical Hierarch of Southern California whom Daniel overthrew and killed, is lost-consumed by the great Pacific firedrake secretly assembled by Daniel's half-brother, Paul. And that's just the first obstacle. Pacific Fire Another thrilling ride through Greg van Eekhout's wildly imaginative world of California Bones, featuring entertaining new characters and a dangerous magical plot unfolding in Los Angeles. I'm Sam. I'm just this guy. Okay, yeah, I'm a golem created from the substance of his own magic by the late Hierarch of Southern California. With a lot of work, I might be able to wield magic myself. I kind of doubt it, though. Not like Daniel Blackland can. Daniel's the reason the Hierarch's gone and I'm still alive. He's also the reason I've lived my entire life on the run. Ten years of never, ever going back to Los Angeles. Daniel's determined to protect me. To teach me. But it gets old. I've got nobody but Daniel. I'll never do anything normal. Like attend school. Or date a girl. Now it's worse. Because things are happening back in LA. Very bad people are building a Pacific firedrake, a kind of ultimate weapon of mass magical destruction. Daniel seemed to think only he could stop them. Now Daniel's been hurt. I managed to get us to the place run by the Emmas. (Many of them. All named Emma. It's a long story.) They seem to be healing him, but he isn't going anyplace soon. Do I even have a reason for existing, if it isn't to prevent this firedrake from happening? I'm good at escaping from things. Now I've escaped from Daniel and the Emmas, and I'm on my way to LA.